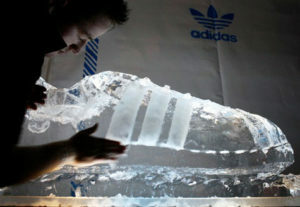 The sneaker was more than a meter long and took an hour and a half to carve for the audience. 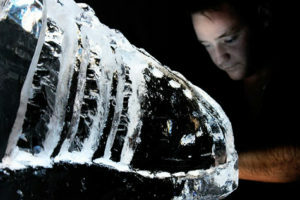 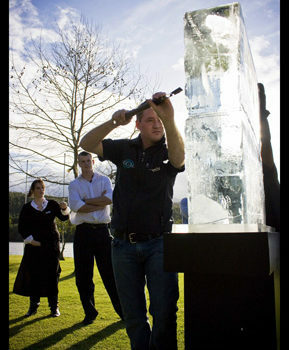 To see the replica of the shoe emerging slowly out of the ice was just awesome. 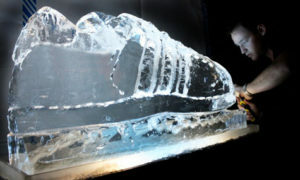 Chisels and chainsaws were the tools used and a flame burner finished the glossy shoe. 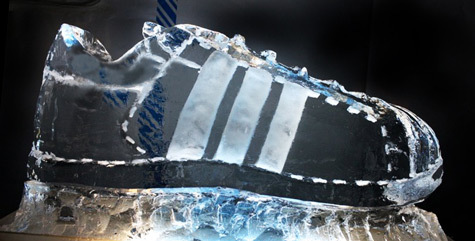 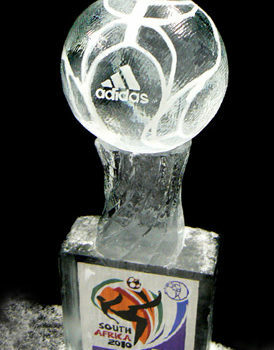 Once the live ice carving was completed the 3 stripes of the Adidas brand were created by carving out the stripes and then packing in white snow to create the climatic finale to the live performance. 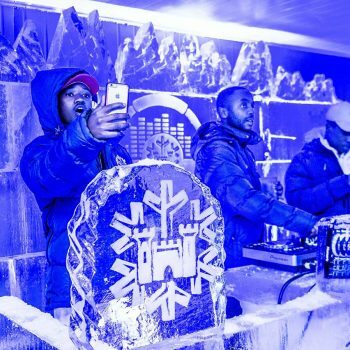 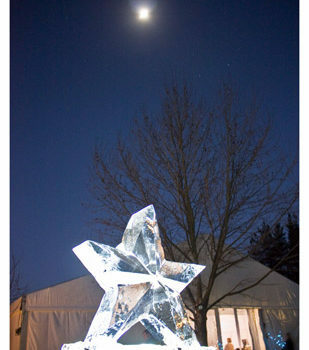 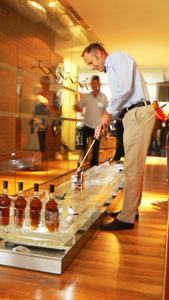 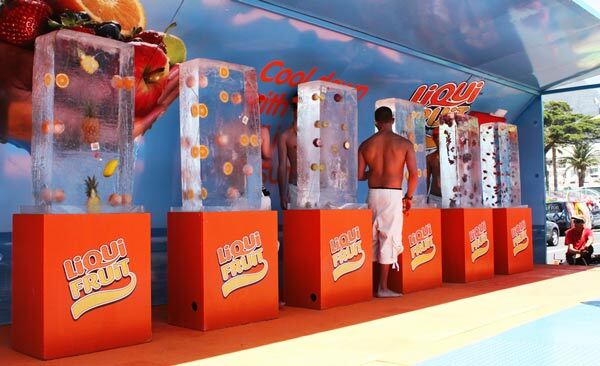 The crowd really appreciated this technical use of the snow by product and the party kicked off thereafter.